These days, Internet of things (IOT) has become a popular topic of conversation at the work place and non-working place. 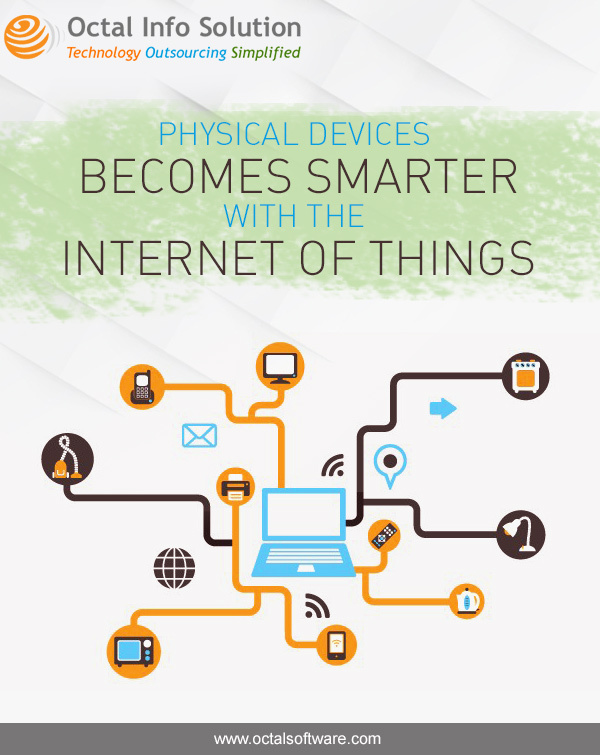 IOT refers to networking of physical objects with the use of embedded sensors, actuators and other transmitter devices. IOT developer tools and products are now available and Apple also released HealthKit and HomeKit developer tools as latest OS upgrade. Google is acquiring Nest to catalyze development of IOT platform and application. IOT made physical devices smarter like fridge, spa bath, oven and many others and these devices can share information within network and complete task while we are busy with office work, sleeping or doing other stuff. At, Octal Info Solution we offer efficient web and mobile technology services at global level. Enquire today to find out more!